MediaTechnics Corporation has authored and produced many best-selling college computer textbooks sold by Course Technology, Thomson Learning, and Cengage Learning. The rights to some of those titles recently reverted back to MediaTechnics. We are now offering some of those titles as digital downloads. These titles focus on the use of Windows and Windows applications, so are packaged as downloadable apps for Windows PCs only. No purchase necessary to try. Just download a title, install, and run. You’ll have full access to everything in chapter 1, including media, questions, and assessment. To purchase access to the full title, just click Help/Purchase and use your credit card or PayPal account to order an activation keycode. When you receive your keycode, copy/paste it in to gain access to the entire title. 1. You want to learn about computers. Practical PC will help you understand enough “tech talk” so you can decipher computer ads and hold your own when the conversation turns to computers. 2. You want to learn Windows. Practical PC will show you how to use Windows controls and manage files so that you can use your computer to do neat stuff without frustration. 3. You want to learn how to use the Internet. 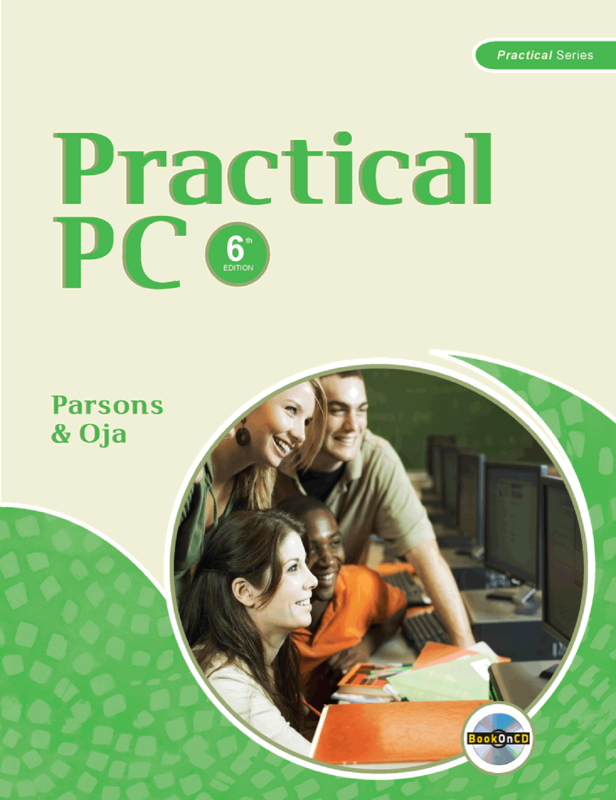 Practical PC will show you how to get connected, use a browser, send e-mail, and launch a search engine. 4. You want to find out what a computer can do for you. You’ll have a chance to experiment with all kinds of software applications, including software for word processing, art, video editing, music composition, and 3D graphics. 5. You are a beginner or an intermediate computer user. Practical PC is great for beginners, but there’s enough new and useful information to keep you interested even if you have some experience with PCs. 1. You want to learn how to use Microsoft Office 2010. Practical Microsoft Office 2010 will help you learn how to use the essential features of Microsoft Word, Excel, PowerPoint, and Access in the most efficient possible way. You won’t find excess coverage of features you’ll never need. Instead you’ll find a focused, efficient approach to learning how to use Microsoft Office 2010 to complete real-world tasks. 2. You want to learn Office 2010, but don’t have it on your computer. The BookOnCD includes interactive simulations to show you how to use Microsoft Office 2010 modules, even if you don’t have this popular software suite installed on your computer. You only need to use Microsoft Office 2010 software if you decide to complete the projects at the end of the book. 3. You’re looking for a product that teaches how to use Microsoft Office 2010, but that also serves as a handy reference. Your book is designed to work as both a learning environment and a quick reference. We recommend using the CD to learn new features. After you’ve mastered Microsoft Office 2010, keep the printed book nearby as a quick reference. You’ve used previous versions of Microsoft Office and want to get up to speed with the 2010 version. Practical Microsoft Office 2010 makes it quick and easy to get up to speed on the latest versions of Microsoft Word, Excel, PowerPoint, and Access. 4. You’re a beginning or intermediate computer user. This book is great for beginners, but it also serves as a quick reference or refresher for intermediate users. You can skim over the features you already know and quickly learn how to use features that are new to you. 1. You want to learn about computers. Practical Computer Literacy helps you understand enough “tech talk” so you can decipher computer ads and hold your own when the conversation turns to computers. 2. You want to learn Windows. Practical Computer Literacy shows you how to use Windows 7 to manage files and customize your on-screen work area. • You want to learn Microsoft Office. Practical Computer Literacy teaches you all the key skills for Microsoft Word, Excel, PowerPoint, and Access. 3. You want to learn how to use the Internet. Practical Computer Literacy shows you how to get connected, use a browser, send e-mail, and work with search engines. 4. You want to prepare for the IC3 certification exam. Practical Computer Literacy offers a visual, hands-on way to prepare for Certiport’s IC3 certification. 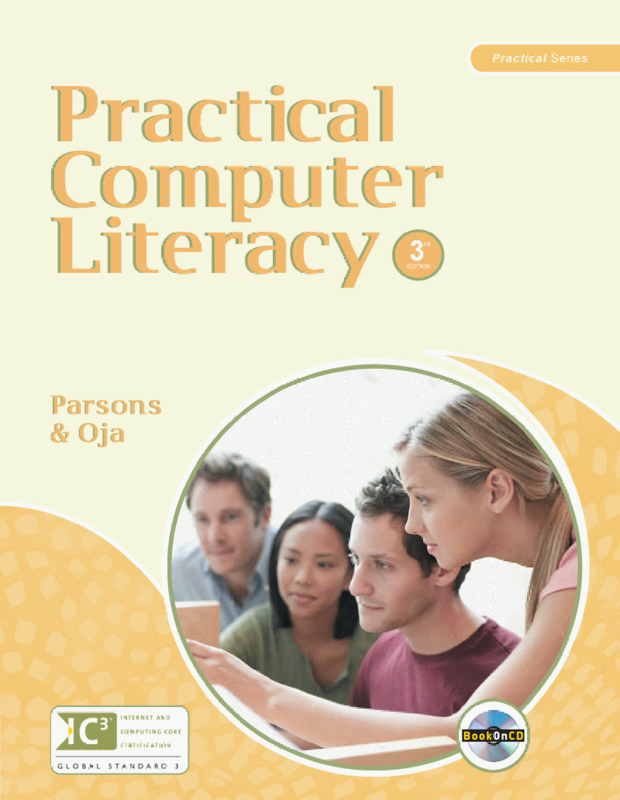 As this book went to press, the IC3 exam was available for Windows XP, Vista, Office 2003, and Office 2007 but not for Windows 7 and Office 2010. As new versions of the exam are produced, they are announced at the Certiport Web site. You’ll find more details about this globally recognized certification program on page v.
1. You want to learn how to use LibreOffice or Apache OpenOffice. 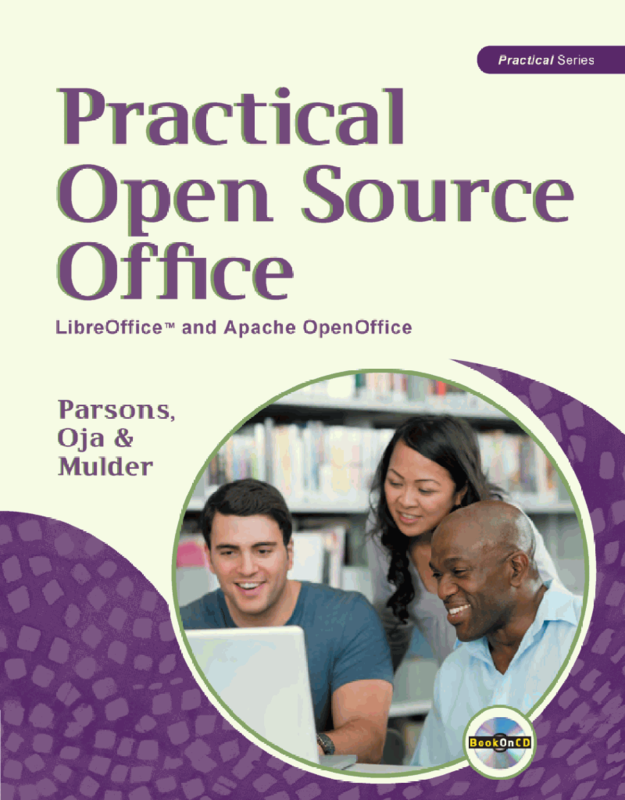 Practical Open Source Office: LibreOfficeTM and Apache OpenOffice will help you learn how to use the essential features of Writer, Calc, Impress, and Base in the most efficient way. You won’t find excess coverage of features you’ll never need. Instead you’ll find a focused, productive approach to learning how to use LibreOffice or Apache OpenOffice to complete real-world tasks. 2. You want to learn LibreOffice or Apache OpenOffice, but don’t have it on your computer. The BookOnCD includes interactive simulations to show you how to use the application modules, even if you don’t have this popular software suite installed on your computer. You only need to use LibreOffice or Apache OpenOffice software if you decide to complete the projects at the end of the book. 3. You’re looking for a product that teaches how to use LibreOffice or Apache OpenOffice, but that also serves as a handy reference. Your book is designed to work as both a learning environment and a quick reference. We recommend using the CD to learn new features. After you’ve mastered the applications, keep the printed book nearby as a quick reference. 4. You’ve used a previous version of LibreOffice or Apache OpenOffice and want to get up to speed with the latest version. Practical Open Source Office: LibreOfficeTM and Apache OpenOffice makes it quick and easy to sharpen your skills with the latest versions of Writer, Calc, Impress, and Base. 5. You’re a beginning or intermediate computer user. This book is great for beginners, but it also serves as a quick reference or refresher for intermediate users. You can skim over the features you already know and quickly learn how to use features that are new to you.